SARDINAS CANYON, Mex. – A large wildfire that ignited and showed up on-scene, took off on June 24, 2018, around 1409 hours MDT. The fire is burning in Sardinas Canyon, about 18 miles southeast of Taos on Camino Real Ranger District on the Carson National Forest. 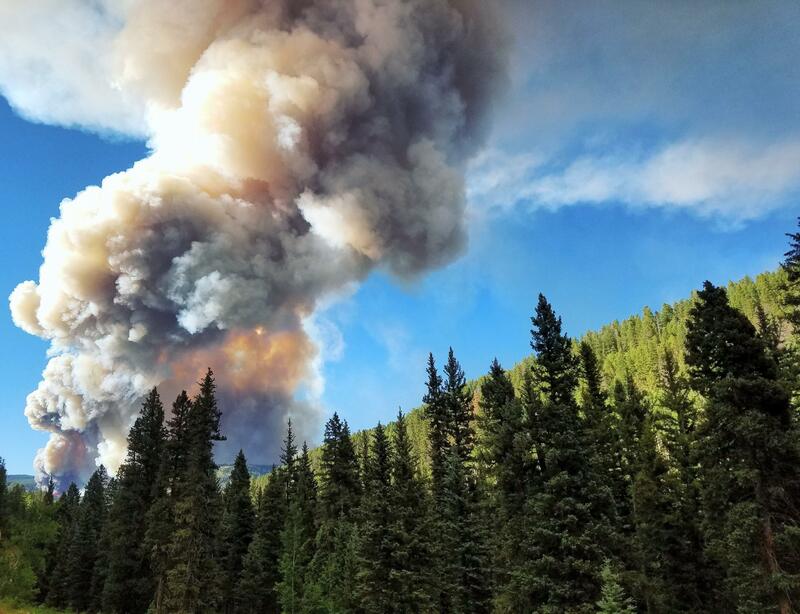 The fire has consumed 2,307 acres of aspen, hi-altitude mixed conifer and sub-alpine pine. Crews have reached a successful 12% containment status but still focusing on the fire suppression objective of 100%. Fire Officials have ruled this to be human-caused but its exact point of origin or cause is still being investigated. There are currently 164 personnel with the assistance of three crews, seven engines, two dozers, 3 helicopters, 3 water tenders, one grader, one ambulance, one rapid extrication module and a single skidgen.